As of late I've been entertaining a lot of musings in my head. Really, I guess that's not too uncommon for anyone. But, in my case I've been thinking a lot about my husband, the man that God put into my life to share ups, downs, milestones, and faith. From the beginning of our budding relationship I knew Pete came into my life not through coincidence alone, and that feeling only grew the longer we were together. This man was not only becoming a huge part of my life because he and I wanted it, but because it was the Lord's will. When I start to think about that, I can't help feeling overcome with such joy and appreciation, but also curiosity for how God picked him for me and me for him. Without so much as asking this aloud, my Sunday School class swiftly answered it while discussing a topic inspired by our current reading on marriage and its purpose. If you grab your Bible and open to Genesis 2:18 you'll find the following: Then the LORD God said, "It is not good that the man should be alone; I will make him a helper fit for him." If one word were to jump out at you (ahem, maybe the one in bold), you might possibly turn up your nose and scoff, "I as a wife, am only my husband's helper?!" But, before you get too far ahead, let me stop you in saying that the word "helper" used in Genesis 2:18 and 2:20 is ezer, which is a combination of two roots, meaning "to rescue, to save" and "strength". Now you're seeing this word, "helper", in a different light, aren't you? To go even further, I want to put into perspective the honor this word carries with it throughout the Bible. Only appearing 21 times in the Old Testament, "helper" is used in the context of the first woman, in military context, and most prominently in reference to God. It's a a vital and strong help that God gave man in His creation of woman. And not only that, but I am the suitable partner for my husband, as he is for me. I believe it's important to remember this always, that in marriage your spouse was purposefully chosen for you. God designedly puts us with someone who will complement us, encourage us to grow, and better ourselves. 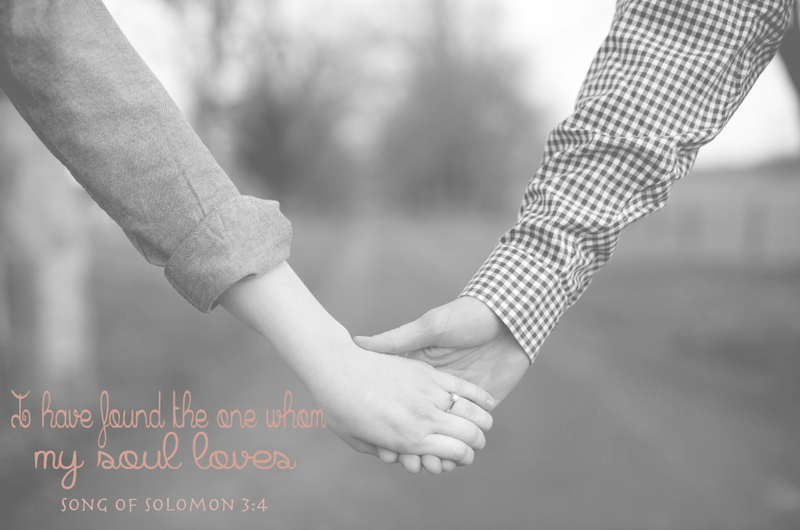 We are given to one another in marriage to uphold a covenant between ourselves and God. I can't be but in awe of the Lord's plan for marriage; He not only gave us a framework for marriage that we can live by and therefore have fruitful, happy marriages, but He also provided us with a suitable helper in which, together, we can ultimately display Christ's love for the church (and vice versa) through our love for one another. It's beautiful, isn't it? In saying all of this, it leads me back to my musings about my husband. It made me rethink the ways in which I treat him, honor him, and love him every single day. I am his suitable helper, and likewise he is mine. I want to take the gift God has given me in knowing that and strive daily to intentionally live that calling out. So ladies (and gents), when it comes to your marriage, who's with me on this?